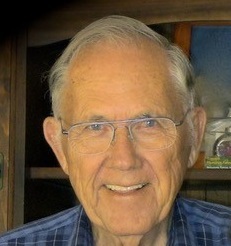 Henry “Hank” Curtis, 88 Oklahoma City - died March 16, 2019. Born March 19, 1930 in Harrison, AR, to the late Cortis and Ethel Curtis. Hank married Lou Ann Shaw in 1947. He is survived by his loving wife of 71 years; a daughter Alicia Curtis;1 granddaughter Terri Bartlett; 1 grandson Todd Boardman; and 2 great granddaughters. Hank was retired from Tinker Air Force Base as a welding instructor-supervisor. Hank’s favorite hobby was fishing and having a fish fry afterwards. One of his greatest gifts was his creativity. He could MAKE anything he needed to FIX anything that was broken. His gifts to others were usually designed and made by him. He was preceded in death by his parents, 7 brothers and 2 sisters; and 1 daughter Linda Boardman.